You can purchase the registration coupon code for this course directly from dlinkshop.com.au, or contact your D-Link representative. An online, 3 hour self-paced theory only course, focusing on specific products and their features. The theory covers networking technologies within Switching, Wireless, Security and IP Surveillance, as well as networking scenarios with potential problems and their solutions. This course is ideal for Sales and Pre Sales Engineers/Consultants who need to understand networking technology. To obtain a DNDA you will be required to complete and pass an online exam. 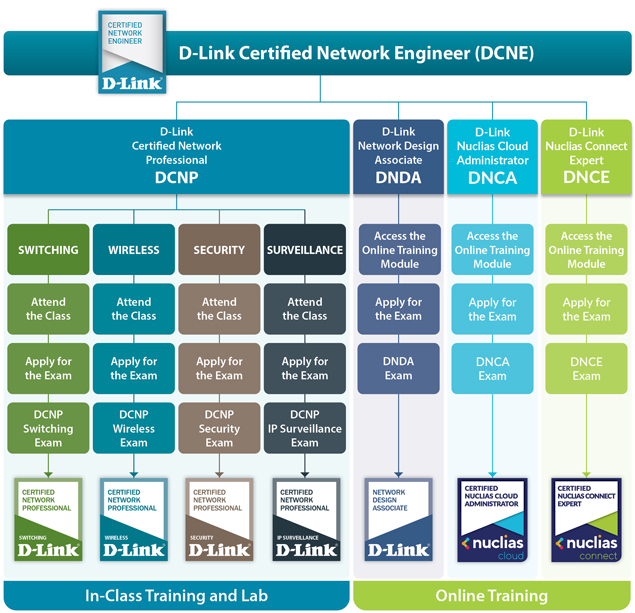 Please note: Completion of this course is an essential requirement for your D-Link Certified Network Engineer (DCNE) Certification. The DCNP workshops are more technically detailed comprising of 4 modules; Switching, Wireless, Security and IP Surveillance. 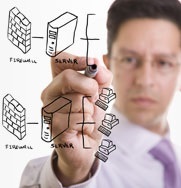 Each module provides students with in-depth information on product technologies and features. Each DCNP workshop incorporates real-life scenarios and configuration examples with plenty of hands-on activities. These workshops are ideal for Pre-Sales Engineers and Consultants who need to understand, recommend, configure, install and support D-Link products. Each course involves attending a full (1) day, in-class workshop and you will also be required to complete and pass an online exam. Delegates are required to bring a laptop (preferably with LAN & Serial ports) to the workshop. DCNE Certification requires completion of the 5 Courses.